The Department of Emergency Management is presenting its 12th Annual Emergency Management Bridge Event from 10 a.m. to 2 p.m. Thursday, May 17, on The Auxiliary Bridge (between Wallace Tower and West Tower). 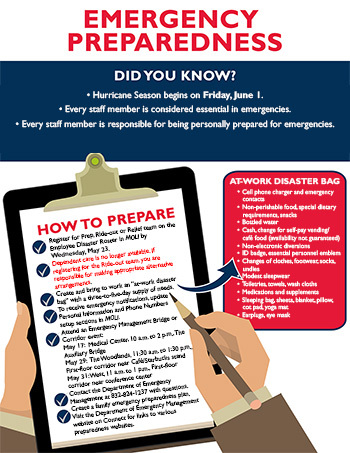 Representatives from various Texas Children’s departments as well as external partners such as the City of Houston Office of Emergency Management will be onsite to help you prepare for hurricane season by assisting you with registering in the Employee Disaster Roster (EDR), getting your emergency supplies ready, and making sure you know where to go and what to do during a disaster. There also will be opportunities to join the volunteer Decontamination Team, HAM Radio Club and/or Moulage Team. 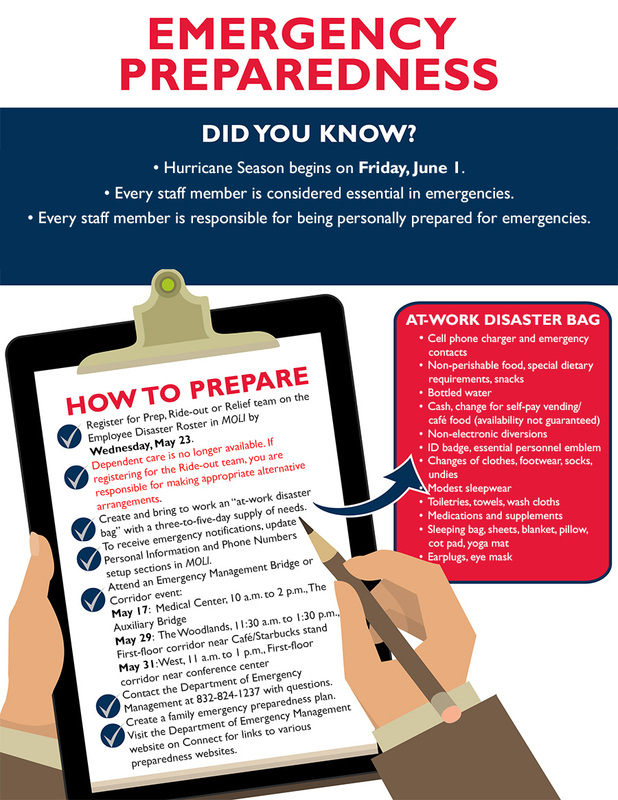 Plan to stop by The Auxiliary Bridge to learn safety tips to help you prepare yourself, your family and your patients for the 2018 hurricane season.